In 2008, reinvented gourmet food trucks were the hottest thing around in cities like Los Angeles and New York, serving both as a culinary novelty and a creative entrepreneurial solution to the prohibitive costs of opening a brick-and-mortar restaurant. At the time, the Kogi BBQ truck in Los Angeles, for example, was boasting $2 million in sales. But a decade later, the novelty has worn off. In most American cities, a new food truck touting fusion tacos or artisan grilled cheese is just not exciting news anymore. But despite rumors that the trend is dying — or has been replaced by the booming food halls — food trucks are actually thriving, just not in ways that you’d expect. According to IBISWorld, a market research firm, food-truck industry revenues have grown 7.3 percent at an annualized rate from 2012 to 2017. Furthermore, according to a December 2017 report produced by Food Truck Nation under the U.S. Chamber of Commerce Foundation, food trucks reached an estimated $2.7 billion in revenue in 2017, a 24-percent increase from 2014. For the successful food truck of 2018, street surfing at lunchtime to attract crowds of hungry office workers is just one piece of a multi-faceted mobile culinary brand, which may also include brick-and-mortar restaurants, partnerships with office parks, concert venues, and food halls, or residencies at food-truck parks. “Food trucks changed what was possible in the QSR space,” said Matt Geller, founding president of the National Food Truck Association. But are they a viable business? Tracy and Kristi Carter did not start out wanting to operate a food truck. 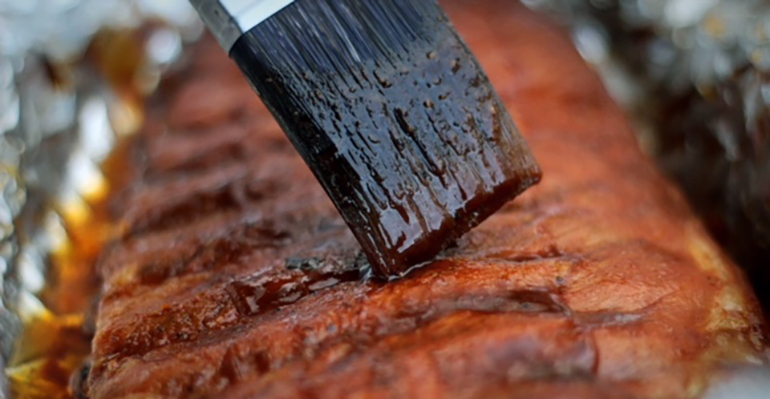 The owners of JAC’s Tailgaters — named for their son’s initials — a Southern barbecue truck based in West Monroe, La., said their brand began as a gourmet barbecue sauce and seasoning company, before they branched out. JAC’s Tailgaters caters events and is starting a partnership with a supper club in 2019 where they will deliver full meals for a weekly farm-to-table concept. Most recently, the Carters started selling ribs, brisket, and tacos, with a $10 to $15 average meal check, at Willie’s Food Truck Park — a restaurant and food-truck park owned by the Robertson family of Duck Dynasty fame. The food truck park opened in October in Sterlington, La. in partnership with 10 food brands and trucks. 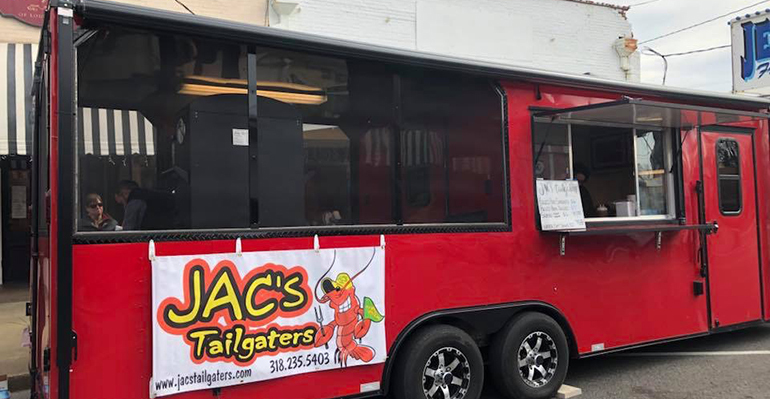 Having a semi-permanent home base for their fans has given JAC’s Tailgaters an advantage in the food-truck business, the Carters said. The food-truck park trend is growing across the country. On Tap is a year-round food-truck park showcasing 30 craft beers that opened in April in Bend, Ore. The park operates as an umbrella business and co-owners Laura and Eric Kramer lease out spots to local food trucks. Currently at On Tap — which is preparing for the winter months with temporary partitions, firepits, and outdoor heaters — you can find trucks selling Latino and Himalayan food, as well as burgers, barbecue and Philly cheesesteaks. “Some of our trucks also do catering but it’s beneficial for them to be in one place consistently,” Laura Kramer said. “Events can be huge money-makers, but they are fleeting.” On Tap, meanwhile, is open every day from 11 a.m. to 5 p.m. There was a time when most food trucks saw their ultimate goal as owning a brick-and-mortar restaurant once their brand became well-known. But that isn’t necessarily the case anymore, said Ben Goldberg, founder and president of the New York Food Truck Association. 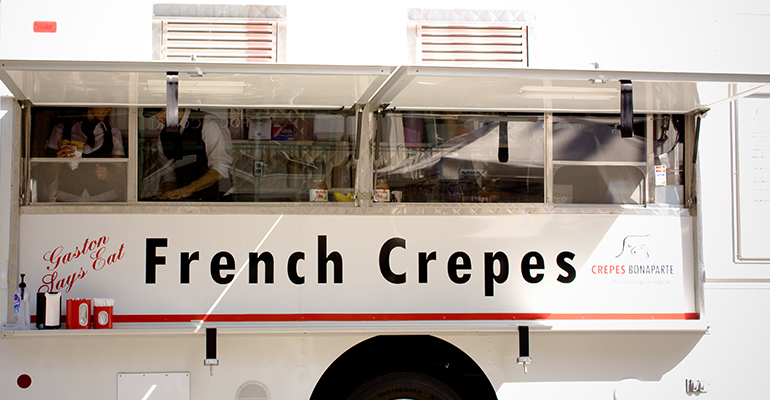 Still, for truck operators like Crepes Bonaparte, which has been offering French crepes in California’s Orange County since 2010, the next step in the expansion of their culinary brand was to open a brick-and-mortar restaurant, and they achieved that goal. The first Crepes Bonaparte restaurant opened in Fullerton, Calif. in March. But the owners plan to keep their trucks on the road. Murcia said that while they still prepare crepes to order, they don’t have to worry about making the crepe batter on the truck, which can ensure a more consistent product for their street sales, events, and their restaurant. With two trucks and a restaurant on board, Murcia projects sales of about $900,000 by the end of 2018.